Today, you will explore the west bank of Luxor, to visit the mortuary temple of Ramses II, which is known as Ramesseum, then proceed to the valley of queens, and end your tour with Deir El Madina or tombs of Nobles. 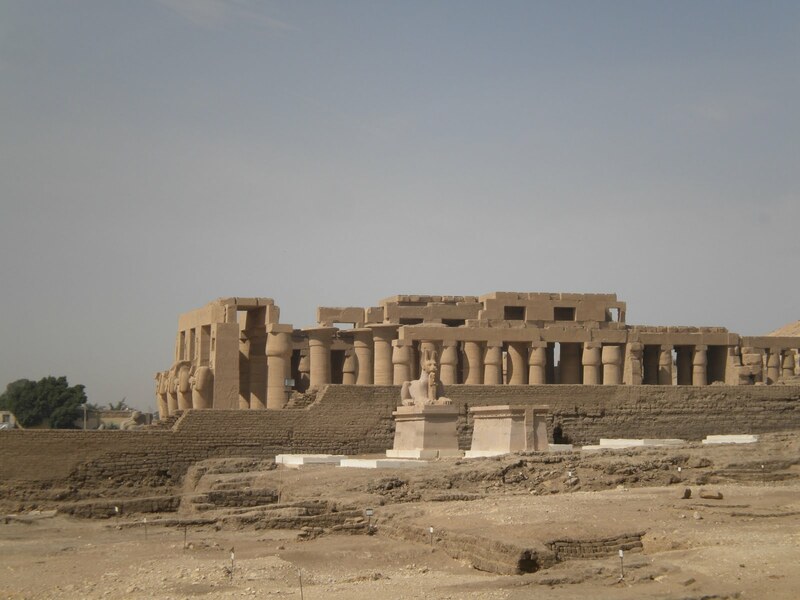 The temple of Ramesseum is a magnificent monument built by the pharaoh Ramses II. Ramses II ( 1303 – 1213 BC ) is also known as Ramses The Great. He is the son of the king Seti I and the grandson of Ramses I. He was the third pharaoh of the 19th dynasty. He ruled Egypt for about 67 years. 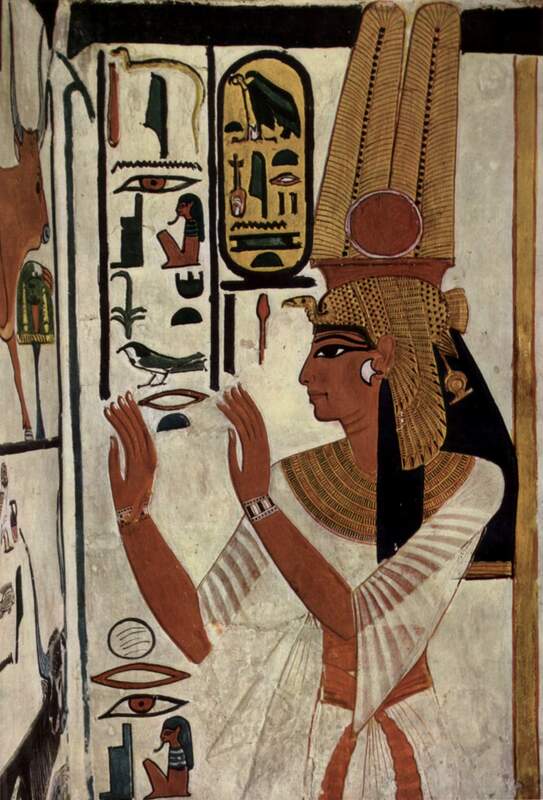 He was married to the famous Queen Nefertari. The early part of his reign was focused on building cities, temples and monuments. He fought so many wars and battles against Egypt’s enemies. The famous one was the battle of Kadesh against the Hittites. This battle is inscribed in all the temples built by him such as Ramsseum, Abu Simble, Karnak, Abydos and Luxor temple. Ramses II signed the first peace treaty in the history with the king of the Hittites. Ramsseum temple is a magnificent monument and contains remains of a clossus of the king Ramses II, which is the largest granite statue ever fashioned to such a high standard. The colossus inspired Percy Bysshe Shelley ( 1792 – 1822 ) poem, the Zymandias. The famous battle of Kadesh is depicted on the walls of the great pylon, the entrance to the Ramsseum. A series of offering and religious scenes are depicted on the walls of the rooms and halls of the temple. Some very amazing astronomical scenes showing the importance of the astronomy in ancient Egypt. These scenes are to be found in what is so-called the library room. Some parts of the temple are now damaged due to its building on weak foundations. This valley was discovered in 1904 by an Italian mission. It was known in ancient Egypt as ” ta – nfrw ” or ” the place of the beauty “. This valley is begun after the the famous valley of the kings, in the time of king Ramses I, 19th dynasty. It is dedicated to the tombs of the queens, the wives of the kings, the princesses and princes. Before the valley of queens, queens were buried with their husbands. The queens valley takes the shape of the letter U and contains more than 70 tombs, almost of them are not completed. Qv 42 Pareherwenemef, son of Ramses III, ( 20th dynasty ). Qv 43 Seth-her-khepshef, son of Ramses III, ( 20th dynasty ). Qv 44 Khaemwaset, son of Ramses III, ( 20th dynasty ). Qv 52 Queen Tyti ( 19th or 20th dynasty ). Qv 66 Queen Nefertari, wife of Ramses II, ( 19th dynasty ). Special fee for Nefertari tomb (1200 L.E) per person. Photo pass is (300 L.E) for taking pictures inside tombs. Pictures outside tombs for free. The tombs of Noblemen are dedicated to high rank members, high rank of the government officials, scribes and some powerful priests. They are located in different areas of the west bank, such as Shiekh Abdel Qurnat, El Khokha, El Asassif, and Qurnit Ma’ari. The government arranges them in groups for the tourists. So each ticket allows you a different set of tombs. 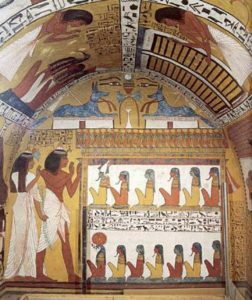 The most popular and visited tombs are: Ra Mose, Sennefer, Rakhmire, Nakht, and Menna. 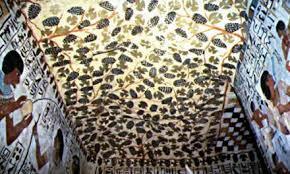 The small tomb of Menna is decorated with extremely detailed scenes, created by a master draftsman. It provides an irreplaceable directory of scenes from everyday life and also of funerary customs. 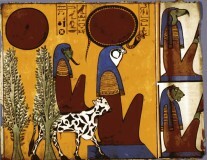 Menna was the scribe of fields of the Lord of the Two lands, the overseer of agricultural activities. 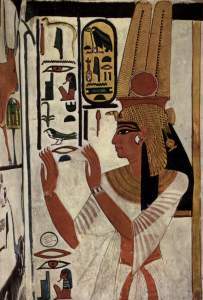 The tomb of Nakht, although very small in size, includes some of the most beautiful paintings of the Theban tombs. Their freshness of color remains astounding. Ramose was a vizier at first under the administration of Amenhotep III then his son Amenhotep IV before he became Akhenaton. His tomb gives a good account of his dualism. Its engravings are among the finest of all Egyptian art. The tomb of Sennefer is justifiably, famous for its ceiling and the quality of its reliefs, as also its state of conservation. The craftsmen exploited the irregularity of that it to decorate it with vines, from where the monument gets its name “Tomb of Vines”. It is the ancient village of the workers of the tombs of the kings. It is one of few ancient communities still exist in Egypt. The inhabitants of this village were called “the workers of the place of truth” (the valley of kings). In this lovely tour you will be surprised of the village and how it was built. It is one of the oldest settlements in history. The village contains about seventy houses, with one main street in the middle. The workers built their tombs where they lived. They are very beautiful tombs showing the daily life aspects of ancient Egypt. Among the villagers were the stone cutters, carpenters, painters, draftsmen, law representatives and policemen. A temple was built for the goddess Hathor during the time of the Greeks. This temple was converted to a monastery by the Coptics, that’s why the village is now called Deir al Madina or “the monastery of the town”. 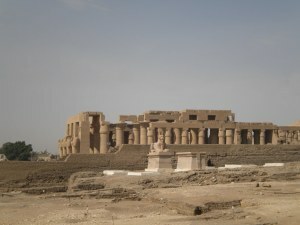 Two tombs are opened there for public and the temple of Hathor plus the panorama of the village. Tomb of Nefertari at the valley of the queens.